The Food and Drug Administration (FDA) is poised to approve a new opioid that is up to 1,000 times more powerful than morphine. Though its advisory panel has given the agency the green light, many doctors are outraged and one group has published a letter – penned by the advisory committee’s own chairman, who did not take part in the vote – urging the FDA to stop the approval process short. Sufentanil, the drug in question, is currently used in an injectable form to treat patients with severe injuries in hospitals. But now the FDA is on the verge of approve a single-dose dissolvable tablet form that experts warn could easily fall into the hands of the black market to become the next OxyContin – fueling yet another wave of the ongoing opioid epidemic. Opioid overdoses killed 72,000 people in 2017, shattering the previous year’s record death toll. Many states and individuals have sued Purdue Pharmaceuticals, the maker of OxyContin, after experts widely declared the advent of its blockbuster prescription opioid the birthplace of the opioid epidemic. Now, regulators and advocacy groups are facing off, debating whether sufentanil could be the catalyst for history to repeat itself. 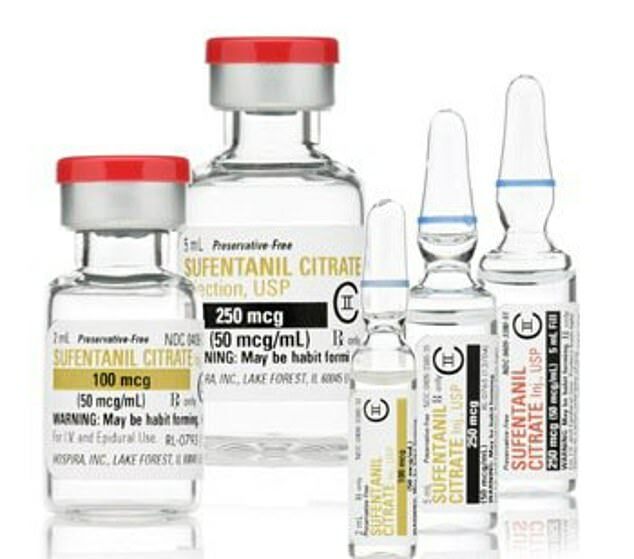 Sufentanil is currently given to hospital patients intravenously. It is typically used with anesthesia during surgery, during childbirth and to manage pain in severely injured hospital patients. It is five-to-ten-times more powerful than fentanyl (which is itself far stronger than morphine, OxyContin and heroin), and doctors often use it to treat post-op pain in patients who have a high tolerance for (and often long term addiction to) opioids. Anesthesiologists have been known to abuse injections of sufentanil, but it has not been the subject of rampant abuse, possibly in part because its form and uses make it less accessible. But on October 12, the FDA’s Anesthetic and Analgesic Drug Products Advisory Committee voted 10-3 in favor of approving a tablet version of the drug that would dissolve under the tongue. The drug’s maker, AcelRx, claims the drug does not have the long-lasting metabolites that lend other opioids their euphoric and addictive qualities. The plan is for the tablet form of the drug to be given only in single doses and only within hospital walls or on the battlefield. AcelRx chief medical officer Pamela Palmer told Buzzfeed, ‘the Defense Department asked us for this drug’ because Sufentanil reportedly is faster acting and better for amputees with poor blood circulation. But opponents of the tablet, to be sold as Dsuvia, say that the tablet form is ripe for overdoses and diversion to the black market. ‘Because the drug is used in a sublingual’ – or under the tongue – ‘form, it will be rapidly absorbed by the vasulature under the tongue,’ Dr Raeford Brown, a University of Kentucky anesthesiologist, author of the Public Citizen letter and chair of the FDA Center for Drug Evaluation and Research Division of Anesthesia, Analgesia, and Addiction Drug Products told Daily Mail Online. Dr Brown worries that patients will chew the tablet and end up absorbing even more of the 30mg tablet even faster, or hide the drug for later use or to give someone else. Plus, despite AcelRx’s promises about the strict usage of the drug, ‘just because a company says, “we’re only going to allow the drug to be used in way X” doesn’t mean it’s true,’ said Dr Brown. Already, injectable fentanyl has poured out of the medical supply chain and onto the streets, and Dr Brown sees no reason to believe the same won’t happen to tablet sufentanil (or isn’t already). ‘[The FDA] has put together a program that hasn’t thus far found any reliable risk mitigation strategy that is effective in preventing misuse and diversion of these agents,’ said Dr Brown. Plus, he says that AcelRx has made no ‘substantive’ changes to Disuvia’s formulation since the FDA’s advisory committee turned away the company’s previous approval application last year. But when the committee voted this year, on October 12, Disuvia passed muster handily. Dr Brown, who chairs the committee, was not present for that vote. He was already scheduled to speak at the annual meeting of the American Society of Anesthesiologists at that time. He estimates that about 10 other committee members were also attending the conference at the time of the vote. Granted, the committee’s vote is just a vote of confidence. The FDA can take its advice or ignore it as the agency sees fit. In response to Daily Mail Online’s request for comment, an FDA spokesperson said: ‘The FDA’s advisory committees provide independent, expert advice to the agency on a range of complex scientific, technical, and policy issues. The agency has not made its decision on sufentanil yet, and Dr Brown has a stark warning for its officials. ‘We are having a continuing problem in the US with fentanyl, and there is no indication I can see that we wouldn’t have significant diversion of this agent, too.